SIZE & SHAPE - 3" wide by 1.75" tall Rectangle. Punched out and ready to use! 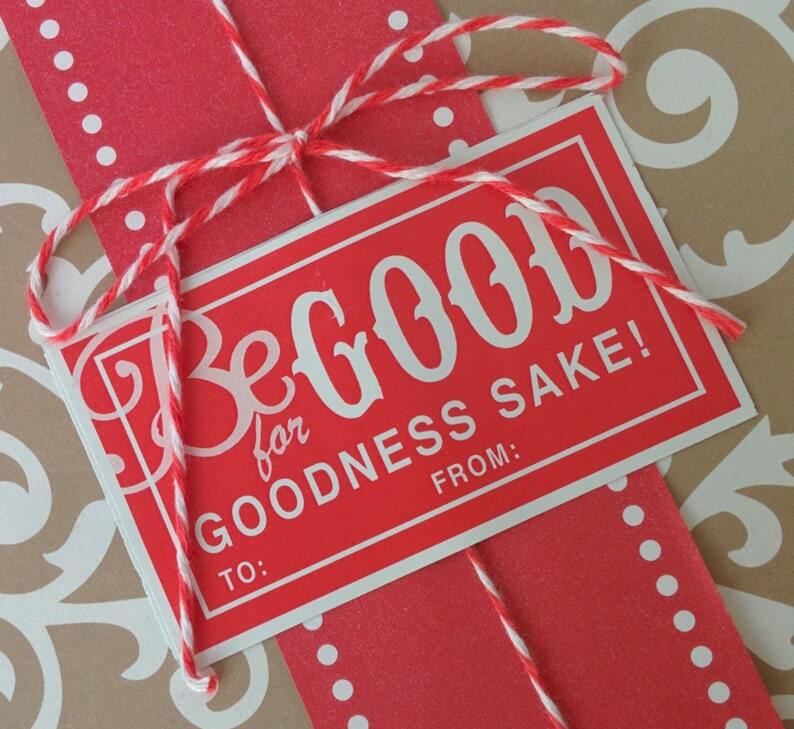 TEXT - "Be Good for Goodness Sake!" and "to"/"from"
COLORS - Red and white as shown in the listing photo. I ordered several sets and they are great as always! One of my favorite label options from this store.